*Never underestimate the power of a good biopic. New Edition’s “All the Number Ones” earned 12,000 equivalent album units in the week ending Feb. 2, according to Nielsen Music. The set boasts not just N.E. hits, but also solo smashes from the group’s individual members and spin-off trio Bell Biv DeVoe. 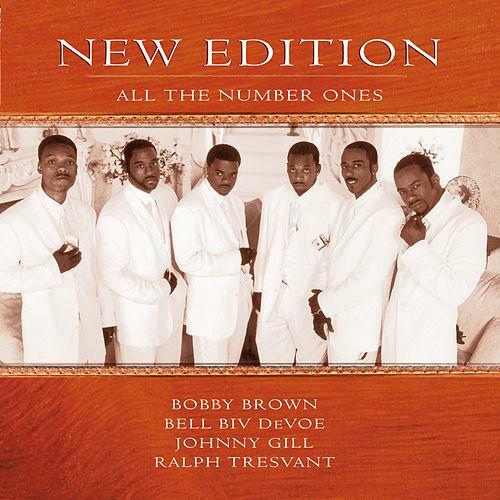 New Edition was last in the top 40 back in 2004 with “One Love” (debuting and peaking at No. 12). The act also rises 195-85 with its 1988 album “N.E. Heartbreak” (7,000 units; up 79 percent). According to BET, the three-part movie drew 29 million total viewers through Jan. 30, counting premiere telecasts and encores, across BET and Centric. Those viewers translated into big music gains, as New Edition sold 20,000 albums in the two weeks ending Feb. 2 — up 1,345 percent compared to the two weeks ending Jan. 19 (a little more than 1,000). Further, the act sold 87,000 song downloads in the Jan. 20-Feb. 2 span (up 1,460 percent) and generated 34.95 million on-demand streams (up 652 percent). In related New Edition news, Bell Biv DeVoe also capitalizes on the mini-series: the trio’s first album in 15 years, “Three Stripes,” bows at No. 18 on the Billboard 200 after its release on Jan. 27. They last debuted on the tally with 1993’s “Hootie Mack” (No. 19). Migos’ “Culture” sits atop the Billboard 200 chart, scoring the first No. 1 for the hip-hop trio. The set earned 131,000 equivalent album units in the week ending Feb. 2, according to Nielsen Music. Of that sum, 44,000 were in traditional album sales. Previous ArticleWell Lookie Here: 31 People in Michigan Could Face Criminal Charges for...Voting Twice!